Waste heat generated from a variety of operations across a number of industries can prove to be a valuable resource when used wisely. The energy typically lost in waste heat can be used by waste heat boilers to heat water or to evaporate water into steam. The superheated steam thus generated in the boiler is used across nearby steam users. A range of applications utilize steam boilers across areas such as industrial process plants, sewage treatment work, and hospitals. Steam from waste heat boilers is also used as a source of energy and as a medium for carrying chemical processes. This report presents a thorough analytical account of the past and present growth trajectory of the market, presenting forecasts pertaining to the potential future growth dynamics of the market over the period between 2017 and 2025. An account of technological advancements observed in the market in recent years, and trends, drivers, restraints, and regulations impacting the overall development of the market is also included in the report. The key factor driving the global waste heat boiler market is the rising need for making industrial processes more energy efficient so as to bring down costs and the carbon footprint of industries that depend on energy derived from fossil fuels. Rising energy costs across the globe, which are also compelling industries on reducing their reliance on fossil fuels, are making it necessary for the industrial sector to incorporate ways of utilizing every unit of energy that is otherwise lost. The market for waste heat boilers has witnessed a vast rise in the number of technologically advanced products available across international markets. Rising demand from rapidly industrializing emerging economies has invited several new companies in regional pockets, leading to an increased level of competition. The rise in competition has led to increased focus of companies on research and development activities, thus positively influencing the overall market. 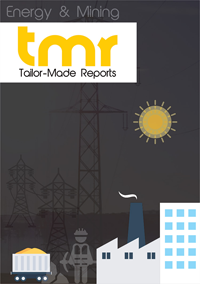 The report segments the global waste heat boiler market on the basis of several criteria to present a more detailed account of the overall scope of growth of the market. For the report, the market has been segmented based on criteria such as source of waste heat, temperature, and geography. Based on temperature, the market for waste heat boiler is segmented into ultra high, high, and medium. Of these, the segment of high heat is presently the most lucrative as waste heat is generated in the form of high temperature flue gases across most process industries. On the basis of source, the market has been segmented into segments such as gas turbines, oil engines, steel plants, incinerator exit gases, and cement plant kilns. Of these, the segment of incinerator exit gases is presently the most lucrative owing to the vast rise in investment in the infrastructure of steel, metal, and chemical industries in the past few years. Based on geography, the report covers the market for waste heat boilers in regions such as Asia Pacific, North America, Europe, Latin America, and Middle East and Africa. Of these, the market in Asia Pacific is presently the dominant contributor of revenue to the global market and is likely to remain one of the key influencers over the report’s forecast period. Factors such as the thriving steel and chemical industries, rising demand for as well as the cost of energy, and the rapid pace of industrialization and urbanization, chiefly in emerging economies in the region, are the key factors driving the Asia Pacific waste heat boiler market. Some of the leading companies operating in the global waste heat boiler market are Thermax, General Electric, Amec Foster Wheeler, CMI Group, Siemens, and Nooter/Eriksen.